As Europe’s leading rum production group, Bardinet has built its development on its capacity to respond to market trends, and changing consumer modes worldwide. • A stringent, inflexible quality policy that resulted in certification under ISO 9002 in 1994, HACCP in 1996, ISO 9001 version 2000 in 2003, BRC (grade A) for the UK market in 2005 and IFS for the food sector in 2006. 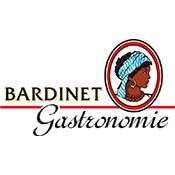 BARDINET has implemented a HACCP approach and specifications designed to ensure total quality control at all production stages, from the selection of raw materials to final packaging. • Constant adaptation of packaging and labelling to meet consumer tastes while maintaining the main themes specific to the world of the product, combining exoticism, elegance or aristocracy. • A genuine spirit of partnership with the various importation and distribution networks to stimulate the market and develop production in step with consumer demands.